In continuation of its aggressive infrastructure renewal drive across Africa, the African Export-Import Bank (Afreximbank) has signed a financing agreement with Securiport SUARL, Senegal, to provide Securiport with a $15 million term loan to finance the design, construction and commissioning of a civil aviation and immigration security system at the Juba International Airport in South Sudan. The facility, which was approved for five years, will assist South Sudan to modernise equipment and systems at the Juba International Airport, leveraging on future flows of airline fees. 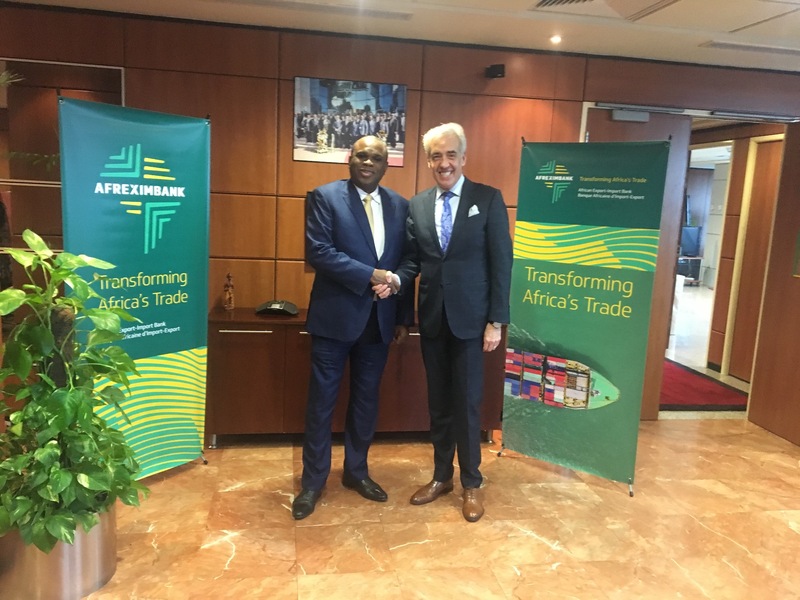 Oramah said that one of the bank’s priorities was to improve trade carrying infrastructure in Africa in order to enhance flow of goods, services, investments and people. He said that the project would support South Sudan’s development agenda and was in line with the objectives of the Single African Air Transport Market, the African Union project which seeks to integrate the African aviation industry and create a single market for air transport in Africa as a quick way of advancing the African Union’s Agenda 2063. Securiport Senegal SUARL, which is incorporated in Senegal, is a subsidiary of Securiport LLC, Washington, D.C., and specialises in the design and implementation of civil aviation and immigration security services and in intelligent information management systems for governments using passenger-biometric recognition and advanced technological solutions.